Sega-16 – Sega-16 Expands Coverage to 8-bit Machines! Sega-16 Expands Coverage to 8-bit Machines! It’s been 10 years since we launched Sega-16 with the goal of documenting all aspects of the Genesis console and its add-ons. During that time, we’ve cataloged over 900 reviews, over 100 interviews, and hundreds of features. We’ve watched a budding homebrew scene begin to thrive, and we’ve seen major publications about our favorite console. It’s been a source of great pride to see interest in the Genesis grow over the years, and we’re very pleased and proud to have been a part of it. As with most projects, however, we feel the time has come to evolve. We’ve covered the great majority of Genesis games, and there’s just too much Sega goodness out there to leave out. Sega’s legacy of console hardware will continue to grow more distant as years pass, and younger gamers will be less and less aware of the greatness that filled many a home for almost two decades. We think it’s necessary to continue our mission of keeping that legacy alive in ways most other enthusiast sites don’t, and that’s why we’re going to expand our coverage. Staring next month, Sega-16 will begin to cover SG-1000, Master System, and Game Gear titles! Reviews, features, and interviews will now include Sega’s entire 8-bit catalog, and we couldn’t be more excited about it. Count on us to continue to do what we’ve done for a decade, which is to keep this often-neglected part of gaming history alive. We hope you will continue with us on the journey and even contribute. There are so many great games to talk about, and we hope the community will continue to offer the same outstanding support it has for 10 years. Fantastic news! It is always good to know that the ol’ Master System is getting some love. Waiting anxiously for the new content. That is amazing! 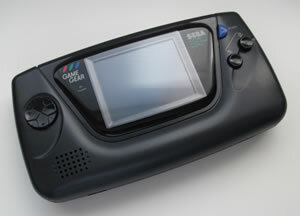 Sega-8! I hope not only you expand to the Dreamcast and the Saturn but also the Sega Arcades. Congratulations! Yes! This makes me want to start writing again! Great! Sega-16 was an amazing resource for me when I got into Genesis collecting several years ago; it’ll be nice to see the site reach out to more Sega hardware. Is there any need for more writers? I’d love to contribute a few articles! 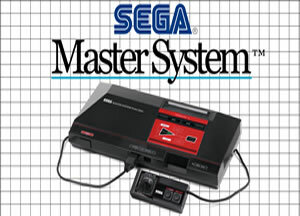 Great news, I really love the Master System. It was my first console! Hope you can do great interviews with key players from those days.